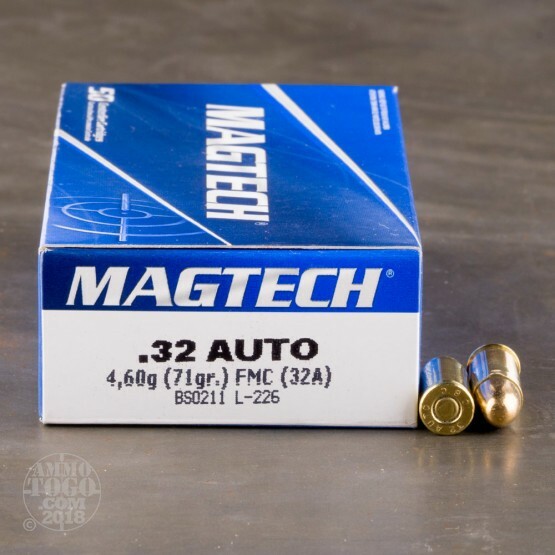 This package contains 50 rounds of .32 Auto (ACP) ammunition manufactured by Magtech. A recognized industry leader, Magtech has been manufacturing high-quality products for more than 90 years. 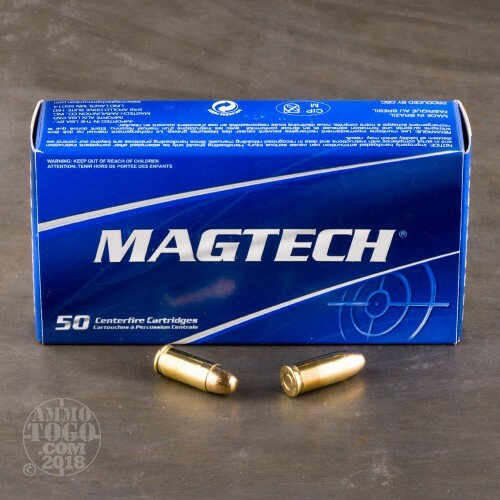 Using innovative manufacturing techniques and producing their own components from first-rate raw materials, Magtech ammunition delivers impressive consistency, reliability, and performance. 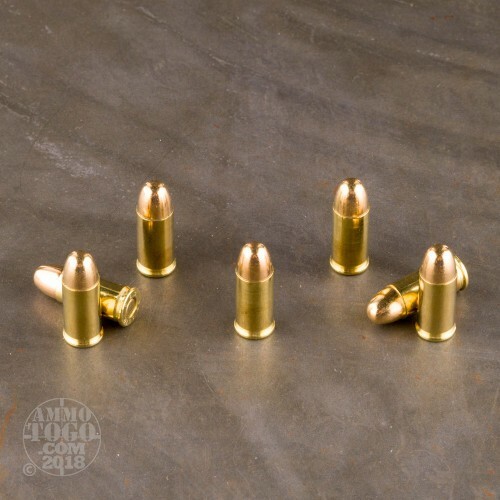 Each factory fresh cartridge is loaded with a full metal jacket (FMJ) projectile weighing in at 71 grains. Perfect for target shooting, tactical training, and casual backyard plinking, these FMJ loads produce excellent penetration with zero terminal expansion. Leaving the muzzle at a velocity of 905 feet per second, each round delivers a muzzle energy of 129 foot pounds. 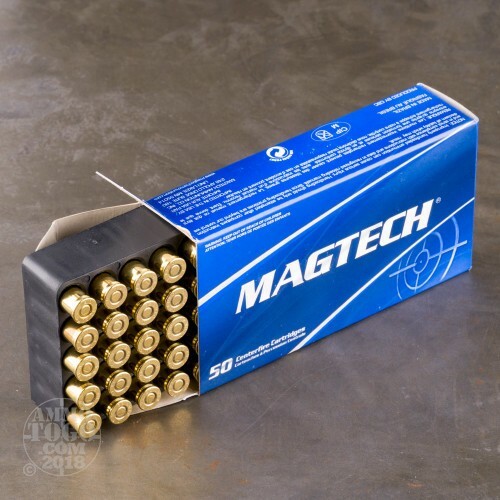 This ammunition is 100 percent non-corrosive, boxer primed, reloadable, and features high-quality brass cases.